This will be the ninth time that New Orleans has hosted the R-19 Nationals, the last being 2013. Southern Yacht Club is no stranger to the racing scene, holding the second oldest regatta in the United States, the Race to the Coast, starting in 1849. So, sincerest thanks to Regatta Chairman, Tom Long and his team, Fleet 7 Captain, Rocky Sanchez, and Vice President and Gulf Coast Representative, Tommy Taggart. And special thanks to all those who travel, compete and make these regattas the special events that they are. As we say in Nawlins, come join us to “Pass a good time”, we’ll probably ask you, ” How’s ya momma an’ them?”, and of course, “Laissez les bon temps rouler”! For those who would like to inquire about housing here in New Orleans for the 2018 Rhodes 19 Nationals, our housing coordinator is Nancy Blouin. Her e-mail address is f31355@aol.com. If you contact Nancy, please copy Tom Long at tom@thomaslong.net. Looking forward to seeing everyone here in New Orleans in October. The Notice of Race is now available. Click Here. 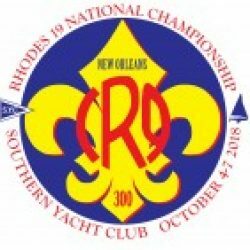 We are proud and excited to be hosting the 2018 R19 National Championship at Southern Yacht Club. Much more to come, but be prepared to enjoy great racing, great friends, and to pass a good time!